The New England Patriots owner Robert Kraft has decided not to appeal the penalties imposed on his team for the so-called “Deflate-gate” scandal. That leaves Tom Brady alone to pursue his appeal later this month of the four-game suspension imposed on him. We’ll get to Tom Brady in a moment. But first, put yourself in right field with one out in the top of the ninth inning, a runner on second, and your team leading by one run. The batter hits a line drive your way, and you race toward it, diving, and landing over the ball — a fraction of a second late. You’ve trapped it. The runner on second, with an unobstructed view, sees the trap and runs to third. What do you do? Sprawling on the grass, you hold your glove aloft with a wondrous “hey, look, I caught it!” expression. Then you get to your feet and throw to second, doubling up the runner and ending the game. You’ve cheated. You know it. The runner knows it. Possibly most of the cheering fans know it. But as long as the umpire doesn’t know it, you are a hero. The opposing manager is on the field screaming, but his anger is directed toward the umpire, not toward you. If roles were reversed, he would have expected his outfielder to do exactly the same. The detour illustrates a point. In sports, there is cheating – and then there is cheating. Much of what we call cheating is not only accepted, it is admired. No one has ever censured an outfielder for pretending to have caught a trapped ball. Baseball is not unique. All sports have their areas of acceptable cheating. Lebron James is a basketball legend. That hasn’t stopped him from “flopping” – faking fouls to get extra trips to the free throw line. Not too long ago, his dramatic artwork even gave rise to a craze: young people, called “Lebroners,” gently bumped into passersby at airports and other public spaces, and then dropped to the ground with sensational flair, while their friends videotaped the scene. Of course, when it comes to acting, Lebron James does not even qualify as a rank amateur compared to international soccer stars. Football has its own “cheat-if-you-can get away with it” sectors. Holding is illegal, but it’s penalized only if caught. Offensive linemen routinely grab inside the defenders’ pads because it’s outside the referee’s view, and therefore uncalled. The Seattle Seahawks, the team Brady’s Patriots defeated in the 2015 Super Bowl, won the 2014 Super Bowl by traversing a long path of cheating. Dispensing with the blitz, the 2014 Seahawks kept an army of defenders back and simply mugged the offensive receivers on every play. The Seahawks would “test” the refs early, to see what they could get away with. Then they relied on non-stop pass interference to shut down their opponents’ offense. The Seahawks led the League in pass interference penalties, but they realized advantages from their transgressions. No matter how often they interfered, they knew that the vast majority of their infractions would go unchallenged. Mike Pereira, a former NFL vice president of officiating, now a Fox analyst, summarized the Seahawks philosophy this way: “We may get called for one but not 10.” The team seemed to know that statistics were on their side. Since 2001, only nine NFL teams have been penalized more than 20 times in a season for pass interference, and every single one of them had a winning record. Assuming (and many Patriots fans fervently believe otherwise) Brady directed or acquiesced in the deflation, it’s not enough to say “he cheated!” and leave it at that. As we’ve seen, there’s cheating – and then there’s cheating. Cheating done in the open, where referees and opponents have a fair chance of detecting it, is generally not condemned in professional sports. It is part of the game. The outfielder trapping the line drive is not equal to the player injecting himself with performance-enhancing drugs. Both are cheating, but one’s cheating is public and the other’s is private. The difference is akin to that between a confidence man running a shell game on the sidewalk, and a burglar breaking into a home at night. Both are thieves, but of different classes. Tom Brady and Barry Bonds both graduated from Junípero Serra High School in San Mateo, California. Bonds used steroids, clandestinely administered, to boost his home run performance. Is Brady Bonds? Some might say yes. The deflation of the footballs reportedly occurred secretly, in a stadium restroom. But once deflated, the balls were brought out into the open. The referees handled them before and after every single play when the Patriots were on offense. The Colts touched them every time they knocked down a pass. 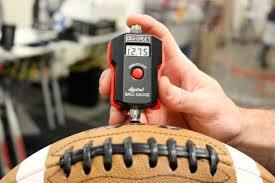 The footballs were not hidden in someone’s bloodstream, detectable only by lab tests. They were used openly: visible and touchable, like a baseball scuffed by a pitcher. Tom Brady’s appeal of his four-game suspension will take place on June 23. The appeal will focus on what Brady knew and did. It will address the issue: Did Brady cheat? That’s an interesting question. But, assuming cheating is found, it would be even more interesting to ask: Where does Brady’s cheating fit in a world where certain forms of cheating are both expected and accepted? Interesting. I like the distinction between public and private cheating as far as it goes. A player can indicate he caught the ball when he trapped it, but is there a distinction between saying he caught it and merely acting like he caught it. Deflategate is more complicated. As far as I can tell, it made no difference to the outcome of the game. As I recall, the Patriots did better after the balls were properly inflated. But this raises the question, why do it? The Patriots have now gotten the reputation as cheaters. First for spying on competitors in violation of the rules and then deflategate. They have become the team everyone, but their fans, loves to hate – like the Yankees of old (though they did not cheat, they just won). Maybe it’s just like speeding. Everyone does it, so everyone is a law violator. Again maybe its the public/private distinction. Public “cheating” is part of the game, though I’m not convinced that pretending to be fouled, holding the glove in the strike zone, or catching a ball that is trapped is really cheating rather than play acting. Lawyers all the time pretend to be shocked by asking a question ruled improper knowing full well it was. Are they cheating? The Tax Court also recognizes the difference between types of cheating. Back in 2007 Bill Belichek was fined $500,000 for videotaping opponents’ signals – but these signals were in plain view and the rules were ambiguous. Belichek was able to deduct this penalty from his taxable income as a “trade or business expense” because his activities were an ordinary part of the professional football game (http://blogs.wsj.com/law/2007/09/17/tax-profs-bill-belichick-can-deduct-his-500000-fine/). However, athletes who are fined by a sports league for violations of criminal or civil law (i.e. for violent acts or use of illegal drugs) generally cannot deduct those penalties. ” ‘You’ve cheated. You know it. The runner knows it. Possibly most of the cheering fans know it. But as long as the umpire doesn’t know it, you are a hero. The opposing manager is on the field screaming, but his anger is directed toward the umpire, not toward you. If roles were reversed, he would have expected his outfielder to do exactly the same. ‘The detour illustrates a point. In sports, there is cheating – and then there is cheating. Much of what we call cheating is not only accepted, it is admired. Uhhhhhhhh, if that had been me, I would NOT have pretended to have caught the ball. I would neither lie, nor cheat, to gain an advantage. I despise that in others, and I rewards gained falsely cannot be savored, if one wishes to remain honest with one’s self. A much bigger issue in this case how much of an advantage the specific act of cheating gained the cheater. In that respect, it is preposterous to conflate the possible deflation of a football by an equipment man with the use of illegal steroids by a power hitter. With Bonds, his steroid use gave him tremendous power he otherwise would not have had. He did not become the feared home-run hitter until after his steroid use turned him into the bulked-up, bald, bodybuilder that he was in a Giants uniform. Many of his post-steroid homers would have been caught no farther than the warning track if hit in his pre-steroid era, but with the added strength of his steroid bulked body they carried over the wall. In contrast with Brady, his performance in the game against the Colts was markedly better in the second half when he was using fully inflated football than it was in the first half when his footballs were slightly deflated. For me as a fan who does not cheer fro the Patriots unless I really don’t like their opponent, this whole thing is blown so far out of proportion as to be ridiculous. If the pressure is so almighty important to the NFL, the NFL officials should check the pressure, and then retain control over the footballs so that nobody can alter them. Problem is, in the NFL football “chain of custody” the officials are supposed to check the air in the footballs and carry them to the field! Interestingly, the AFC Championship game crew handed the footballs over to the NE team managers rather maintain possession of the footballs until they reached the field. FYI, oh esteemed blogger, a study was performed showing the fallacy of the claims made about the footballs. Oh, and one more thing, had you bothered to perform the rudimentary research necessary to write a column about this topic you would’ve found an overinflated footballs root to this kerfuffle that began with —– Indianapolis as the culprit versus —- New England (and that’s in addition to Consistently losing to New England John Harbaugh’s conversation with Chucky Cheese, err, Pagano, where Haterbaugh cried about how NE must cheat to win and their further discussion about setting the Pats up to be patsies in case of yet another Tom Brady-led blowout of the Indianapolis Mares.